Mastering the holy trinity of Adobe’s creative design software is no mean feat by any stretch of the imagination. Photoshop, Illustrator, InDesign – each of these are massive programs, hugely powerful and capable of being used to create pretty much anything in graphic design that you could possibly think of. The designer needs to be able to use all three. In Illustrator it’s vector-based artwork. In Photoshop, it’s raster-based. And in InDesign, you put all of your artwork together to make your beautiful brochure, magazine, poster, eBook, or what have you. As you can imagine, or even already know, none of this is easy, and all of it is time-consuming. Thankfully, however, there is a wealth of free InDesign template resources available on the web that anyone can utilise to cut down on the time it takes during the final stage of the process – the design of your final document. 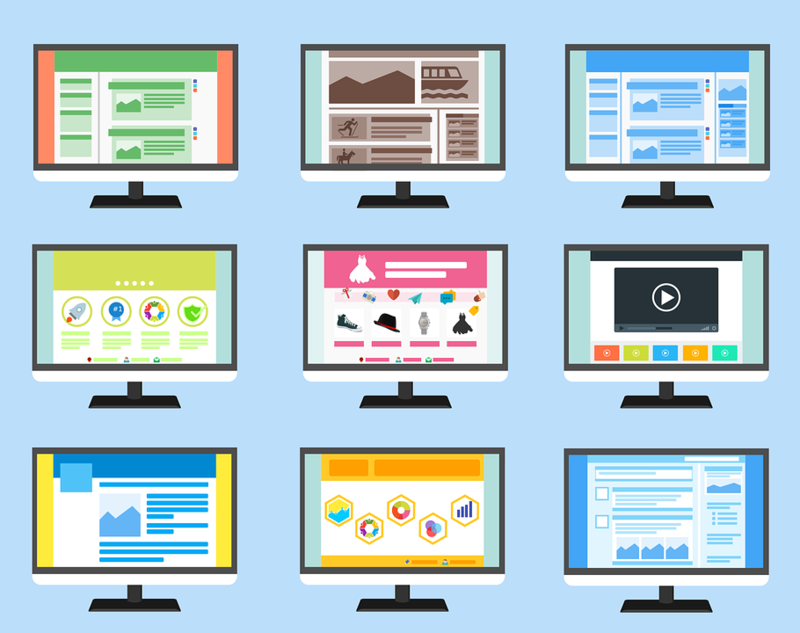 The great thing about the resources in the following list is that, despite the fact that they are free, they are all of superb, professional quality – some, in fact, just as good or even better than some of the premium templates that are out there. Design templates are of course very handy things to have access to – and there’s no shame in using them either. We do, and we’ve got many, many years of experience with InDesign under our belts. 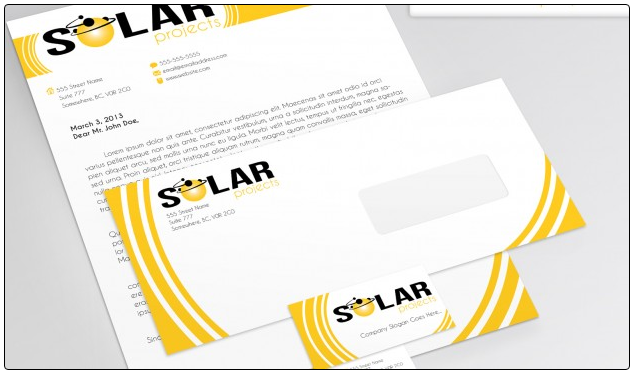 But we find very often there is a free template readily available that we can quickly download and put to use with absolutely zero sacrifice to the design quality of the final result. This saves us time to work on more complex projects, and of course perfect our Photoshop and Illustrator artworks. 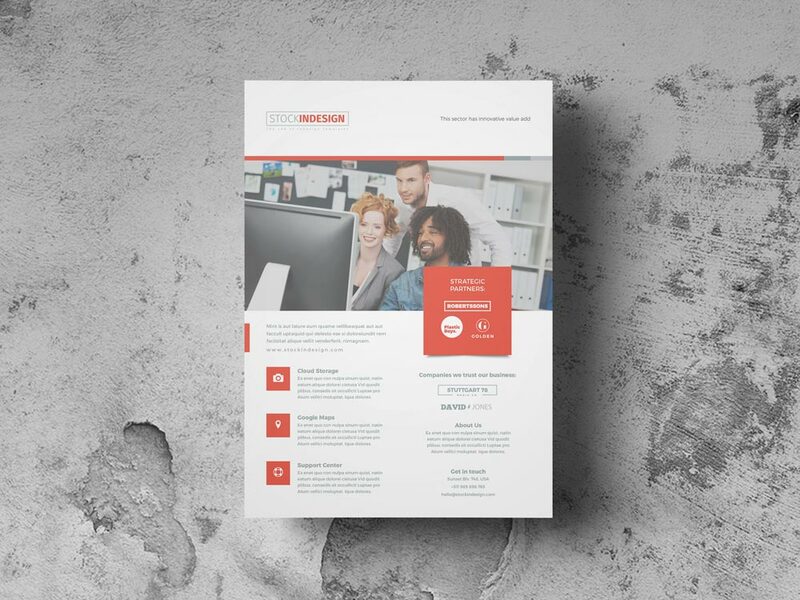 Best InDesign Templates isn’t entirely free, but rather has a mix of premium templates (that you have to pay for) and free ones. The free section is nothing to be sniffed at, however, and many are in fact even better than anything that the site wants you to pay for. The image above, for example, is the free template entitled ‘Vehicle Datasheet’. As you can see, it’s laid out beautifully with clear boxes for text and space for images, and each element sits well at a pleasing distance from each other. And of course, this template can be customised to become a datasheet for anything – not just a car. Any product that your business sells can used here – from trampolines to stereos to software – all you have to do is fill in the blanks. Stock InDesign is one of our firm favourites. Again, there are a mix of free templates and premium ones, but the free ones are impeccable. There are book templates, magazine templates, corporate flyer templates – you name it. And many of the templates also contain a walkthrough video to get you started using them with InDesign. Great stuff. Blurb, of course, provides its own cloud-based design software for self-publishers of books, magazines, etc. But it also has its own section for templates, some of which can be used with InDesign. Take a look around – there are plenty for books, and magazines, all of which are absolutely delicious on the eye. You won’t go far wrong with any of these. Creativity Crate is a collection of templates created by designer Angela W Head, and you will find everything from magazine templates to business card templates to wine label templates. As always, Angela wants you to pay for some of her work, but her free section offers a few templates to get you started. All the templates are totally customisable and some are even suitable if you’re running versions of InDesign as old as CS5. Handle Branding once again is mainly a resource for premium templates, but there are a couple of free ones for designing a magazine that you can use. These are actually pretty good, mind you, and could be the exact thing that you need to create that perfect publication you’ve been dreaming of. Indeed, before you start trolling through all the others on this list, it’s probably worth checking out these two first, for it could save you time if you eliminated these (in one way or another) in your hunt for the perfect template from the outset – and, at the end of the day, saving time is exactly what using templates is all about. Want to master InDesign? 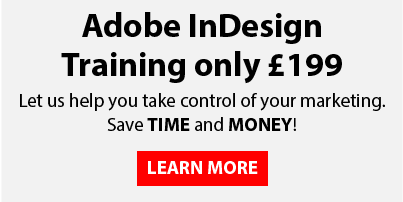 Check out our InDesign Training Courses – we can teach you everything you need to know, whether using a template, or going solo.